Shadows There are 51 products. Mustad hook 3399A size # 6 - 8 - 10. Shadows - Salmon Dry Fly - White Wulff. Daiichi hook 2421 size # 4 - 6 - 8 - 10. Shadows - Salmon Dry Fly - Muddler Minnow. Daiichi hokk 2421 size # 4 - 6 - 8 - 10 - 12. Partridge hook CS42 size # 2 - 4 - 6. Shadows - Slamon Bugs - Blue Bug. Mustad hook 3399A size 6 - 8 - 10. Shadows - Single Salmom - Ally's Shrimp. 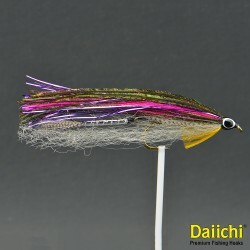 Daiichi hooks # 2421 size 1/0 - 1 - 2 - 4 - 6 - 8.